I suppose it’s unusual to be involved in fact and fiction, but I think years of experience in newspapers help you to adapt to both genres. For instance, in a newspaper you can be editing a feature piece with all its lavender-scented prose while allowing it to ramble a little, and the next minute you can be working on a hard news story where you have to cut to the chase. It’s been a good grounding and I enjoy writing biographies and autobiographies and then switching to fiction. In factual material, you have to be extremely disciplined – too many litigation lawyers out there! 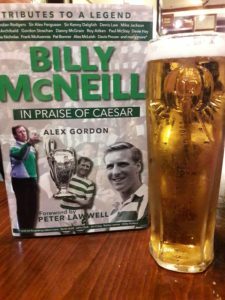 – and in ‘Billy McNeill: In Praise of Caesar’, I interviewed over forty personalities I believed had played a significant role in Billy’s career. There is a lot of preparation work to be done to get someone to sit still for an interview. Then try multiplying that by forty! What kept you motivated in the writing process? The deadline! Once again, as a former sports editor in a national newspaper, I am well aware how crucial it is to meet the cut-off time and date. There is no arguing with the clock when a newspaper is about to roll off the presses. 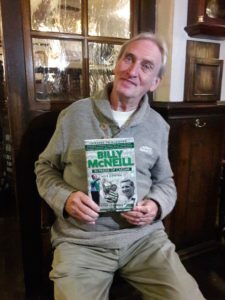 Of course, another motivational factor was to do the best job possible for Billy McNeill, one of the finest human beings I have ever met. I’m not talking football here; I am talking about a genuinely nice man. Yes, I’ve got three I am working on at the moment, one for this year and two for early 2019. Hopefully, I will have finished another football book in time for Christmas, which will be entitled ‘Paradise And Beyond’. 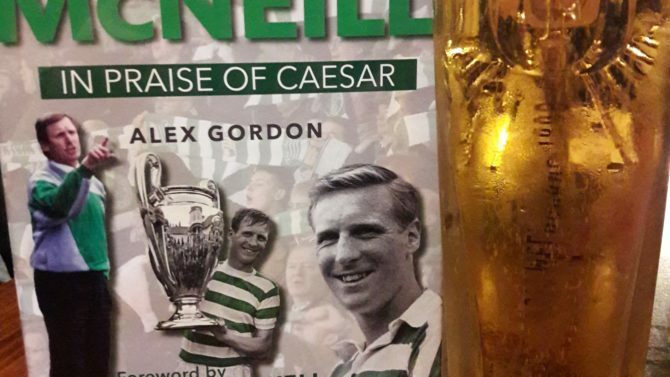 I wrote ‘Caesar and the Assassin’ in 2014 which was dedicated to the Celtic managerial careers of Billy McNeill and Davie Hay. I followed that up with ‘The Winds of Change’, which starts with Liam Brady taking over from McNeill. That takes us through to the end of the Martin O’Neill regime. So, ‘Paradise’ kicks off with O’Neill’s successor Gordon Strachan and reflects on the reigns of Tony Mowbray, Neil Lennon and Ronny Deila up to Brendan Rodgers in the present. After that, I’ll switch back to fiction. Ringwood bought the rights to ‘Who Shot Wild Bill?’ and published the follow-ups, ‘What Spooked Crazy Horse?’ and ‘Who Stole Sitting Bull?’. I’ve already started ‘Who Jinxed Jesse James?’ and I’ve got a clear view where it is going, but it will probably take a few twists and turns before it arrives at its destination. People may be interested to note there are no real-life cowboys or Red Indians in these books. There are stories behind these slightly quirky titles – honest!